Park visitors are encouraged to “Keep on the grass” in the picnic meadow. Photo ©PWP Landscape Architecture. 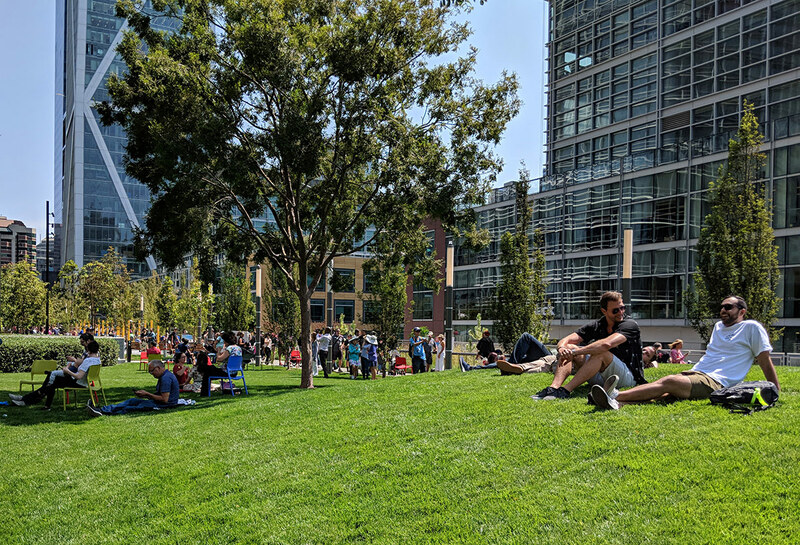 Designed by PWP Landscape Architecture, Salesforce Park is a 5.4-acre verdant oasis that floats amidst the neighborhood’s towering glass high-rises. A curving and undulating environment of lush lawns, children’s play areas, gardens representing various biomes, and more than 600 trees surrounding a half-mile looped path, the park invites visitors to actively engage, learn, or just relax. Adam Greenspan, a partner at PWP, led the project.  In this Q&A, award-winning PWP Landscape Architecture founder, Peter Walker, FASLA, (BA Landscape Architecture ‘55), discusses the challenges and delights of the project. Walker headed the Department of Landscape Architecture & Environmental Planning at CED from 1997 to 1999, and served as chairman of the Landscape Architecture Department and the acting director of the Urban Design Program at Harvard University’s Graduate School of Design. In addition to Salesforce Park, his most prominent projects include the National September 11 Memorial in New York City; Jamison Square Park in Portland, Oregon; the Nasher Foundation Sculpture Garden in Dallas; Sony Center in Berlin; Millennium Park in Sydney; and Constitution Gardens on the National Mall in Washington, D.C.
What was the initial goal when you conceived the park at the Transit Center? A half-mile looped pathway winds around the park. 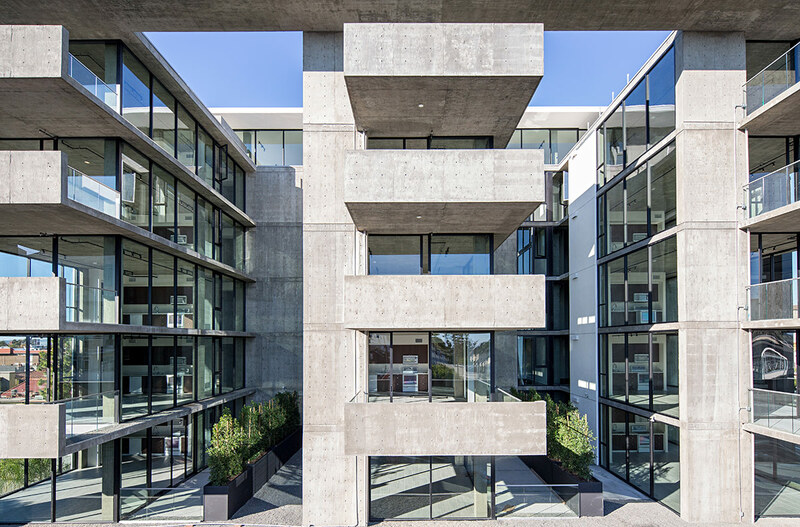 When we did the competition with Pelli Clarke Pelli Architects, our responsibility was the roof-level park and Mission Square plaza. A major part of the competition involved creating connections between the park and street levels. 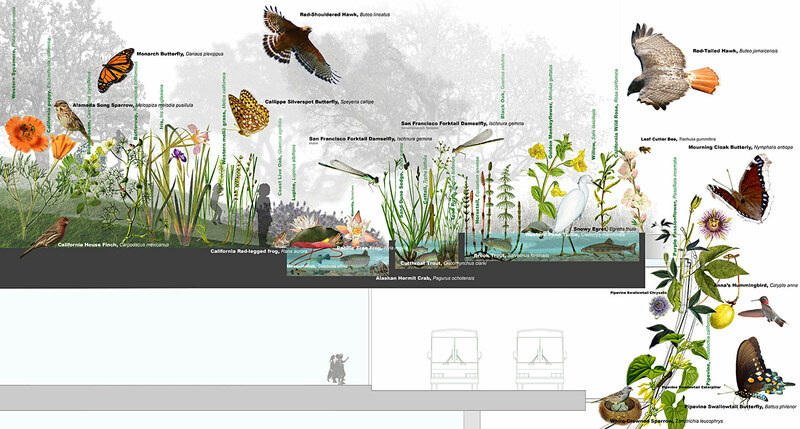 The challenge was less about how you created a park, but how to provide and encourage access. To that end, there were a number of things that the architects and our team spent a lot of time on. One was to protect the edge — make it visible from the ground but, for safety reasons, keep people in the park from going to the edge. The park is 4 blocks long and crosses streets. Large plants and trees at the foot of every street draw people’s eyes upward to the lace and the plants above. We also put plantings around the skylights — palm trees around the smaller skylight and bamboo around the other, so eventually you’ll see a bamboo forest above the moving sculpture when you’re inside the concourse. And we used large stones at the street level — something you wouldn’t normally see in the City — as a means of wayfinding and engaging. The original Mission Square design also had a grove of redwood trees where the funicular connects, so it appeared that the park came down to the plaza. In what other ways does the park encourage people to visit? Garden biomes surround the looped path. Photo ©Marion Brenner Photography. What was interesting is that at the same time we were working on the competition, the High Line in New York was being built and that was the big question — would people go up there? But I never felt it would be a problem for us. The surrounding buildings look down on the park. And the extensive mixed-income housing that’s planned will create a need. I’ve always talked about this thing as a neighborhood park — there’s a ‘working’ neighborhood and a ‘living’ neighborhood and it should work for both of them. That’s where the educational and recreational aspects come in — a place where schools and parents with small children can come, as well as office workers. 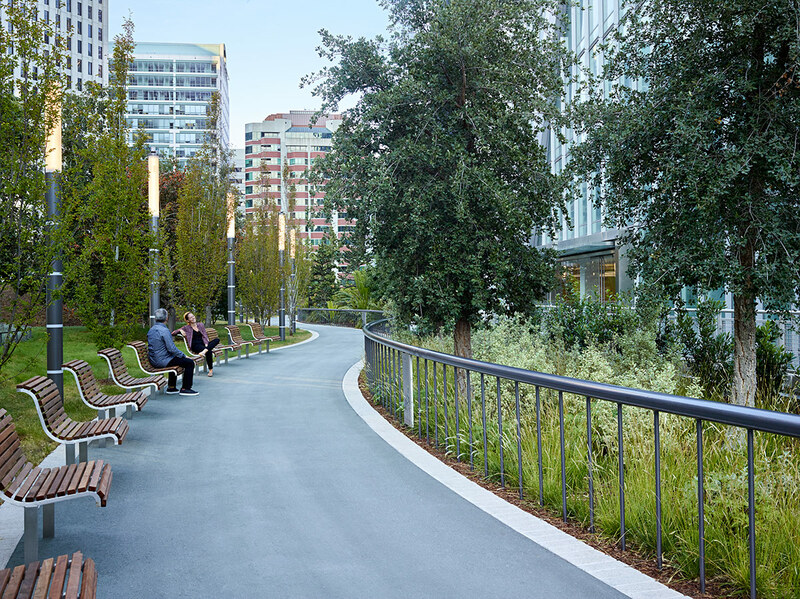 Similar to Bryant Park in New York, we also included a lot of open space to allow for programming. We are very lucky to have Biederman Redevelopment Ventures managing that aspect because they are not only interested in concerts or movies, but also things like ping pong and chess and reading. And we also have bridges. Two currently connect to Salesforce Tower and 181 Fremont. There are four to five more building sites planned and my guess is that, unlike the High Line, they will all want to hook on — we’re encouraging it and those connections would be powerful. What were some of the biggest challenges or concerns during the project? When we won the competition, we produced an entire set of working drawings, which passed through the City. And then there was a 2-year delay because of security issues. The market went up during that time pushing the budget over by about $400 million and a good portion of the park money came out of that budget — the final park budget was cut nearly in half. We had to strip out a lot, such as the planting in Mission Square, but in the end, I think it was a good thing. We took what we had left and focused on the plants in the park. When you do something new, it’s uncertain and uncertainty is food for the naysayers. All kinds of things can happen that are out of our control — homeless people could show up, but those issues need to be solved by the politicians. Landscape architects shouldn’t be doing defensive landscapes. There are some defensive things in the park — I’m not proud of them. What else varied from the original concept? We designed a revolutionary system for treated water from the Salesforce Tower. But when the tower was separated from the Transit Center, we could no longer connect to their plumbing. We are treating water from the facilities in the Transit Center, but it’s minimal compared to what we had hoped. What are we learning about the value of parks? We’ve learned a lot from parks like Bryant Park, the High Line, and Brooklyn Bridge Park. To make parks work better, we need to think through the functional parts, both intellectual and recreational. People are recognizing that parks have political and financial benefits to communities and are becoming more engaged in these types of projects. Central Park made New York City, both in terms of recreation and real estate values. Brooklyn Bridge Park is doing the same thing. But landscape architects haven’t yet been able to profit from those benefits. What is your favorite aspect of the park? It is one of Adam Greenspan’s more brilliant planting schemes. I am pleased because we were able to salvage it after the budget cuts. It’s very cost-efficient to plant intelligent gardens. 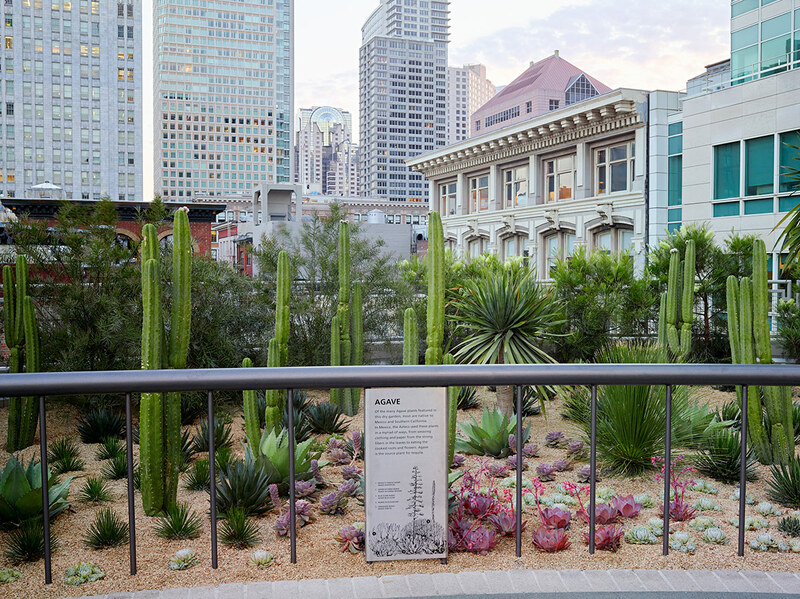 Our gardens show how biomes and microclimates work and the signage aims to enrich and deepen the intellectual connection. So the park isn’t just a place you can jog or play or climb, but it’s also a place where you can learn about the world we live in. I was proud of that. I think we’ve made it friendly and that was our strategy. Recent Transit Center structural issues, not associated with PWP Landscape Architecture’s work, unfortunately resulted in the temporary closure of park access in late September. However, it is anticipated the visitors will again be able to enjoy the beauty of the park before the end of November.